I have been testing Freaky Tiki Beard Oils ‘Koa’ Beard Oil for the past four days, the first thing that I must mention is the product branding. There are countless beard oils on the market and so if you can make your product stand out from the crowd, then you have a better chance of attracting those numerous bearded men that are searching for a new oil. A 30 ml bottle with the a Tiki and flames either side and the nice touch is the natural plant cord with a small skull attached that is tied round the neck of the bottle. Freaky Tiki Beard oils ‘Koa’ like all of their oils is produced in small batches so that you get a fresh oil and not one that has been sat around for months. It’s a blend of Grapeseed oil, Argan oil and Vitamin E carrier oils and is scented with pine, rosemary, Cedarwood and frankincense essential oils. The pine makes this a very fresh smelling oil and the frankincense gives it an almost spicy and ritual smell (if that makes sense). It gives the beard a bit of and makes it look healthy. 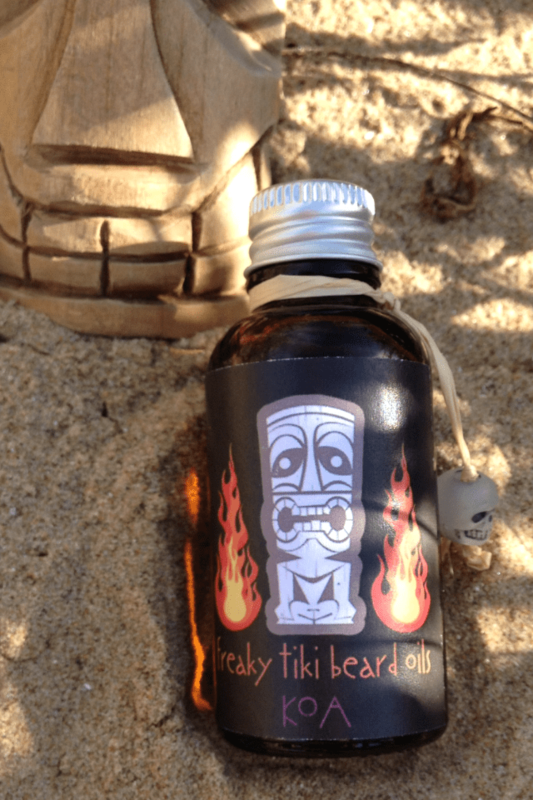 Freaky Tiki Beard oils have a nice range of products on their website and the company is still in its early stages and so there may yet be more products and scents in the future. At Freaky Tiki Beard oils, we are focused on providing grooming products with the highest levels of satisfaction – we will do everything we can to meet your expectations. With a variety of offerings to choose from, we’re sure you’ll be happy using our products. Look around our website and if you have any comments or questions, please feel free to contact us. We hope to see you again! Check back later for new updates to our website. There’s much more to come!